For your reading enjoyment, we have an anonymous first 400 words submission from a daring soul. My feedback will follow. The author would appreciate your constructive criticism in comments. Thank you. The procession of Yankees moved down Richmond’s High Street, clanking chains muffled by snow. Footsteps left a bloody path. Some wore whatever could be held together with rope to substitute for shoes. Many wore no coat. Some were bound for Chimborazo Hospital, the others Castle Thunder, Belle Isle or Libby Prison. Their faces were etched with apprehension, despair, dread, fear. Some appeared dejected, others stood straight and walked proudly. The unknown lie ahead for them. Annie stood looking, useless, her hands clenched in her pockets unable to help or comfort them. How many would be dead in a month? Conditions were abysmal at the prisons. She’d heard stories. Prisoners who got too close to the barred windows were shot on sight. There were probably worse atrocities people were afraid to talk about. Once they went in, they were never seen again. These men had families they longed to see and who longed to have them safe at home. How do you hold onto hope when it seems you’ve been forgotten? The war had gone on for nearly three years now with no end in sight. The prisoners continued the slow march down the road. One man faltered in his step for a moment and collapsed to his knees. His comrades came to his aid and lifted him up to continue. Most of the citizens ignored them as they passed by, but members of The Butchertown Cats, one of Richmond’s street gangs, called out names not uttered in polite society and used slingshots to hurl stones at the men. These street toughs were little more than boys themselves, many only months away from being conscripted for service in the Army. The bravado they displayed today would be tested by their first taste of battle. A member of the local constabulary broke up the toughs and they ran in different directions. The prisoners they taunted marched on to face whatever fate God had for them. Annie watched until they turned the corner and were out of sight. A green tartan scarf lay in the snow where the prisoners had just walked. It looked brand new and certain to be missed by its owner. A gift, perhaps, from a loved one. She started for the object in a vain attempt to return it when one of the Butchertown Cats flew past her and scooped up the garment and ran in the opposite direction. I was drawn into this submission by the human suffering and the idea of prisoners of war being paraded through Richmond. The word ‘Yankees’ and Richmond hinted at a Civil War period piece, but I had to look up the hospital name to be sure. The time period is a good one for intriguing stories, so the author had me hooked. But I have the following suggestions for consideration. 1.) Give Context – A tag line at the outset would clarify without a doubt this is a historical work about the Civil War. 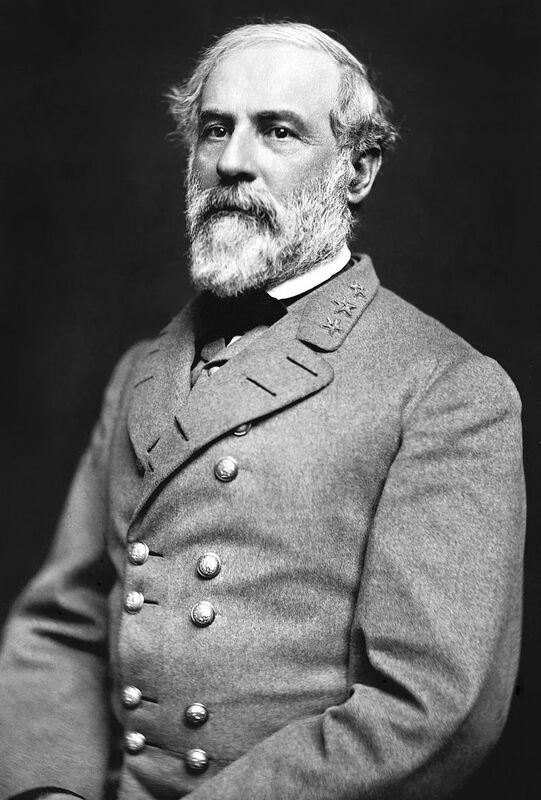 Something simple like – Richmond, Virginia and the date somewhere between 1861-1865 – would suffice. The reader would be oriented at the beginning. 2.) Make Point of View (POV) Relatable – The start of this offering, and most of the writing, is told in omniscient POV. This submission reminded me of a recent and excellent post by James Scott Bell on “The Perils of Author Voice.” Annie the observer first shows up in the 2nd paragraph and again in the final paragraph, but it’s not clear to me that she actually sees the whole procession and the men trudging toward their fate. It’s as if she sees into the heads of all the men marching (omniscient). Think how much this beginning would change if Annie is the sole POV and the reader sees everything through her eyes. By orienting the reader inside Annie’s head, we learn more about her and the time period, as well as the story of the men she has empathy for. If you pick one POV per scene, where the reader can only see through that character’s eyes, the story will be more intimidate and emotional. In omniscient POV, the reader is held at a distance to be a neutral observer. This might work for some stories, but I prefer seeing history unfold through the strife of an endearing or compelling character. Let’s take Annie. What could her story be? Annie could find someone in the march who reminds her of her younger brother who’s missing in action. She leaps over the backs of tall men, straining for a glimpse of the rabble. When she sees a familiar gait or a pair of blue eyes she’ll never forget , she races after the men. She hides among them, maybe has the guards racing to pull her out. She sees each man’s suffering from the way they smell to the bones under their clothes from starvation. They beg her for water. They bleed on her clothes. The reader would more fully understand the plight of these men while also finding out about Annie. What is Annie’s last name? How is she treated as a woman during this period? Is she looking for someone, is she a spy, or does she disdain the enemy? 3.) Add a Dose of Historical Perspective – The writing has a modern feel to it. There is no attempt to use historical authenticity using terminology from the time period or by inserting some clothing/uniform descriptions. Historical readers are fanatics about getting the history right. The insertion of “dark blue trousers and kepi caps” or the guards carrying “Springfield muskets and sabers” could add something. Depending on her backstory, Annie may not know details of weaponry, but during a time of war, I’m sure she’s seen what men wear and use in battle. A resource I found on Civil War Terminology might help insert a few key descriptions to make the writing appear more period. Here is a resource for Civil War Uniform description. This is a resource for Civil War Weapons that the Confederate soldiers might be carrying as they take the prisoners down the street. These are quick resources I found online from a simple query. Experienced authors of historical fiction have a vast amount of reliable sites they use. Would you turn the page? Do you have good resource links for the Civil War? 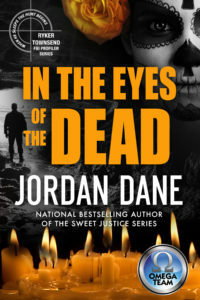 FBI profiler Ryker Townsend and Omega Team’s Athena Madero join forces in a small Texas border town after ritualistic murders of four teens point toward a sinister Santeria priest and his secret believers. 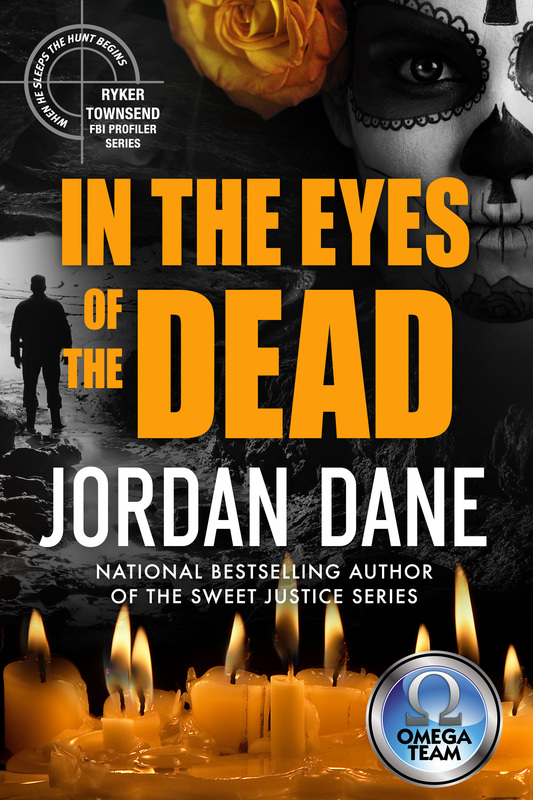 This entry was posted in #amwriting, #writers, historical accuracy, historical voices, Writing and tagged A Disloyal Elementm Jordan Dane, first page critique, POV by Jordan Dane. Bookmark the permalink. Historical fiction, especially anything 19th century America, is my favorite, so I would definitely read on. I like that it started out in omniscient–the author felt it was more important to introduce the soldiers first and introduce Annie in the 2nd paragraph, and I concur with that. However, I never knew who Annie was or understood her in context, which was confusing. But maybe this is explained on a page prior to this one. Other than that, there was some lay/lie confusion, but I would definitely read on. There is no prior page. All of these 1st pg critique submissions are the first 400 words to start the story. I was drawn into the human suffering of the scene but found this intro needed a more emotional way to make the reader feel it. Either put Annie at the human core by thrusting her into the scene more or give individual faces to the men marching. I love this time period too. Okay, so if this is the very first page, a little more hint about Annie in the scene would be good. But for me personally, I would not insert her into that first paragraph because that would ruin that opening paragraph. As it reads to me now, it’s a film shot–and soon enough, in 2nd paragraph, we’ll pan to Annie and get into her head, likely for the duration of the story. But that’s just my personal preference. I think well selected bits of omniscient are a relief from the “me, me, me” of 1st and 3rd POV. I get the film shot idea of storytelling. Good input. I liked the first two lines. The clanking chains and bloody footprints are arresting details. But as Jordan suggests, I’d like to know who is observing all this, so I would make the next line the POV anchor, e.g., Annie Taylor’s chest tightened as the contingent of doomed souls marched by. Then I’d like to know exactly where she’s standing. I thought she might be in a second story window, looking down. But then it turns out she’s on the street. A bit more setting description here. I did like the historical data about the prisons and the gangs. The trick is to filter all this through Annie (which can be done, she has this knowledge). My suggestion is to give us Annie’s actions in every paragraph, and drop in details naturally. Your second paragraph does this. However, I’d cut the first line of that paragraph. It’s grammatically incorrect (“lie” should be “lay” I believe) but it is also an RUE (resist the urge to explain). We don’t need it, because the rest of the paragraph does the work. I really do like the potential of this opening scene. Give us Annie’s POV, strong and immediate, and I will read on. Exactly, Jim. There’s more potential to this compelling scene if we see it through Annie’s eyes. This scene reminded me of THE BOOK THIEF by Marcus Zusak where during Nazi Germany they paraded the Jews through a small German town toward the prison camps. DEATH is the narrator of the entire book, which is highly compelling as it is, but a small girl and boy race through the prisoners searching for a Jewish friend they’d been hiding. If they were caught, they’d be interrogated at great risk to their families. Very emotional, even though it’s omniscient through Death’s eyes. Thanks for your suggestions, Jim. While I agree with Jim Bell’s observation about Annie’s watching this march of “doomed souls”, I have to say I loved this piece. It drew me in from the very first sentence with its atmospheric prose and vivid setting. I believe that Jordan’s concerns (what is Annie’s last name, why is she there, etc) will be answered in subsequent paragraphs. We know she will likely play a central role in the story, and we’re pretty sure the Butchertown Cats will be heard from again. All in all, I say, “well done”. Thanks for your thoughts, Don. Lots of promise here. The bloody footprints in the first two lines is an interesting detail. I’d like to know more about whose footprints they are, and why is there blood? As written, it has a statement of fact quality that could be turned into powerful imagery. The Yankee drummer boys, minus their drums and some, their coats because the Yankee line broke and they’d all had to run for it, lent the older boys and men their shoulders as many of the older ones stumbled and hobbled their way through the snow, spilling blood in their footprints. And, certainly I’d turn the page. Lovely imagery, Jim. To put faces & some context to the suffering is powerful. Thanks for the example. I don’t think it’s a bad start at all, but we need more Annie. Who is she and how does she happen to be on this street at this time? Is she looking for someone? This action is too significant for her to be just out shopping. Lose the the first sentence of the second paragraph. Not only is it grammatically incorrect and awkward sounding, but it’s a stronger introduction for Annie without it. If you cut paragraph 3 altogether nobody would notice. Tidbits regarding the length of the war at this point would be better served coming from Annie’s pov, not spewed out in an info dump. Next paragraph: needs more Annie. One topic that has been discussed recently on TKZ is senses, and bringing those in. As in: Annie could smell the rotting flesh on the men’s feet (I watch too many zombie flicks), or just feel the wisp of the ragged cotton/wool/whatever scarf as it was whisked away and the dirty cold snow splashed on her. So, more Annie and more sensations from Annie’s POV are my suggestions. Ha! I’m thinking Walking Dead. Yikes. But great input on using the senses through Annie’s POV. Always a good way to draw the reader into the story through sense memory. A couple of little ideas. Start out saying “A collection of Yankee POWs … [or whatever term would have been used in that era]. In second and third par’s I almost lost sight of the fact that these were POWs and not some band of ordinary criminals. Snow on the streets of Richmond would seem to require more treatment. Does the snow play any other role in the story? We’re talking a Southern city. More about the snow, along with other additions that have been suggested, would help the reader get situated. “Once they went in, they were never seen again.” Would one expect to see the prisoners again, at least before the war ended one way or another? The main hook for me at this point is why are Annie and these POWs linked here at the beginning? It would seem to be more than her sympathy for their suffering. I think the comments about using Annie’s POV more provide ways to strengthen the reader’s awareness of this tension. Good insight, Eric. About prisoners never being seen again, that’s the omniscient POV niggling questions at you. Personally, I would avoid omniscient because it can distance the reader from the story, but there are some applications, like The Book Thief example I have earlier, where it can be used in a truly life changing way. True, but I think it’s more than that. Even if we had Annie reflecting, “Those poor souls. Once they go in there we never see them again,” I think it would be problematic because one wouldn’t expect to see them again. They’re in the prisons. But we would expect them to come out once the war is over. We’re not talking Nazi Vernichtungslager. Author could have Annie comment “So many bodies come out” and reflect on the deaths caused by sickness–or something like that. I agree with the feedback, but I liked the story and with some “tweaking” would definitely read on. The first two sentences got my attention. I agree with Jim. The first two lines engage. The overall concept invites. Now consider the genre: So many of us love historical fiction because it is more personal than a textbook. While we value–love–the history, it’s the interesting character that turns the pages.